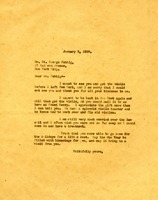 Berry writes to thank Dr. Fehtig for donating a violin to the school's orchestra. She shares that the school has a 'splendid violin teacher' who can repair old violins. She also shares that she is still 'very much worried over the law suit' and wishes he were closer so that she could have a treatment.